About me: Currently a bandit on DayZ who will decide whether or not to kill someone based on a "threat perception." There is nothing more satisfying than placing a satchel charge in a fire station, wait for someone to climb the stairs and BOOM! It would be unwise/thebestdecisionoftheday to supply me with RPGs - I will turn into a taliban terrorist and ackbar every threat in sight. Funniest thing to do in DayZ - shoot your nemesis in the leg with a dmr and watch them being mauled to death by Zeds. On the other side, I do enjoy doing missions with the ugN guys, especially the one's in challenging positions like Mogilevka. 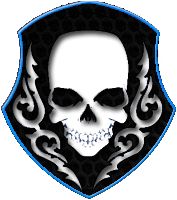 Why Join ugN: Great bunch of folk to play with, very friendly and supportive of your playstyle whether hero or bandit. If you're a team player then you should join! -Do you have TS3 client installed? Ja. -Do you have a headset with mic? I have a headset w/o mic, my mic is in my laptop! Apart from [ugN] Jojo, she doesn't like it when you speak a different language. Shun the Jojo!